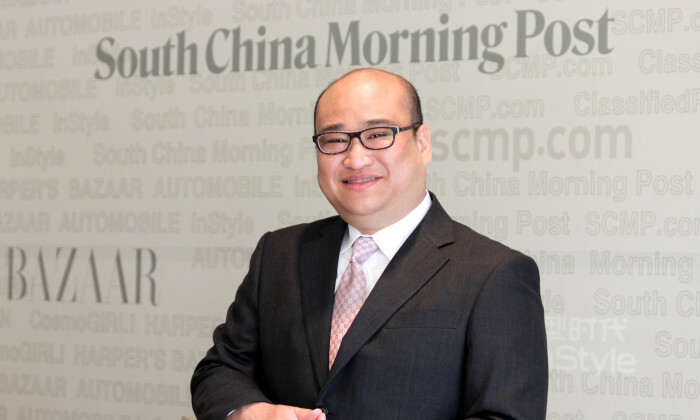 SCMP has hired Terence Cher to succeed Sophia Yu as director of advertising and marketing solutions, with Yu shifting to its magazine division as general manager and publisher. Cher, a former managing director of JCDecaux China, will lead a team of more than 100 staff across Hong Kong, Beijing, Shanghai, Guangzhou and Singapore covering display and digital ad sales, the integrated and custom marketing solutions unit and SCMP’s specialist publications, which includes STYLE, Good Eating and LuxeHomes. He reports to SCMP Group COO Elsie Cheung. The company has also revealed Sophia Yu will take the helm at SCMP Hearst, a joint venture company between SCMP Group and Hearst Magazines International. Yu will oversee its growing stable to magazines from ELLE, ELLE Men, ELLE Wedding, ELLE Décoration in addition to the newly acquired Esquire business. She will now report to SCMP Magazines Publishing managing director Josephine Chan. It’s been a hugely active year for the SCMP Group, which after bedding down the Hearst deal announced the $28.5 million acquisition of Asia City Media Group and its established Hong Kong titles HK Magazine, Where HK, The List the Happy Hour Finder app and HK Magazine iPad application. The magazine division also recently acquired the license to publish The Peak. “Although the global media business has undergone periods of change and challenges, Asia has kept its pace, and Hong Kong in particular has remained resilient to date,” SCMP Group COO Elsie Cheung said.